I am trying to recreate this section in a tutorial I completed earlier this week. 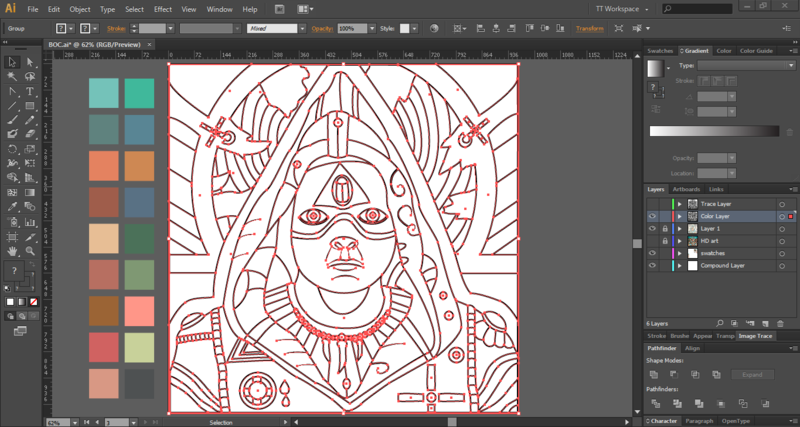 I start off with a trace I made that is comprised of paths and paths with custom width profiles and strokes applied. The whole drawing has been grouped. Now, following the tutorial (reference starts at 3:58), I expand appearance to convert the strokes into shapes, and expand the entire composition to convert the paths into shapes giving me individual shapes that are overlapping each other. It is my understanding that now I click unite to attach all shapes involved into one single vector composition. But, when I click unite, it turns into a black square. I have tried rereading about the unite function, and I have checked for masks, because I had one on earlier (which I released), but I can't figure out what I'm missing. It is important to understand what Pathfinder > Unite does. Unite is intended to combine all fills and strokes into one object with the same fill/stroke as the top object in the stack. So, in your example, if those white areas are white fills the result is a single shape using whatever the top object's fill color is. In this case it would appear the top object has a black fill. So everything is "united" and a black fill is used. If you want the art to be combined, but only combined where fills are the same, you'll want to use Pathfinder > Merge. Merge only "unites" areas of identical fills/strokes. Merge does not combine areas of different colors. You may find THIS QUESTION of use. It explains the various Pathfinder operations. In the tutorial you were viewing/reading it is possible that artist did not use white fills. If the art was only comprised of the black areas, Unite would work fine. It's the varying fill colors which change the results of the Unite command. Just in case anyone is stumbling across this post 3 years later - I had something similar happen to me today and after running a few searches for "white fills" or similar, I forgot to check for items with "no fill & no stroke"
Once I did that (and then deleted those shapes from my artboard) and tried to unite my shapes again, I got the desired result! Hope this helps anyone else who might see it! What is the best way to resize things in illustrator? 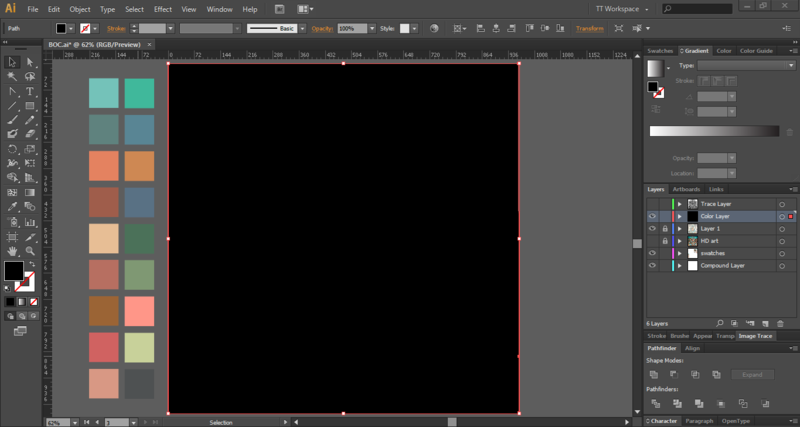 What do the concentric rectangles in Illustrator's layer visibility interface mean?